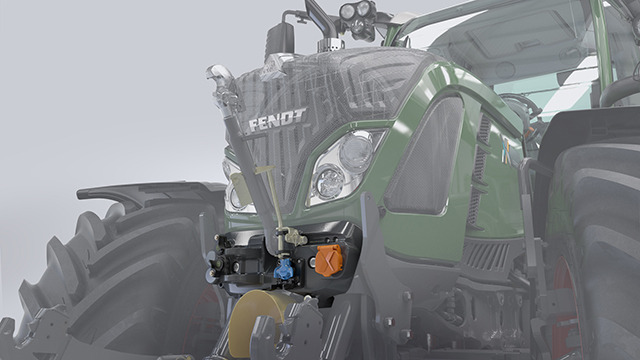 Fendt has the future firmly in sight. 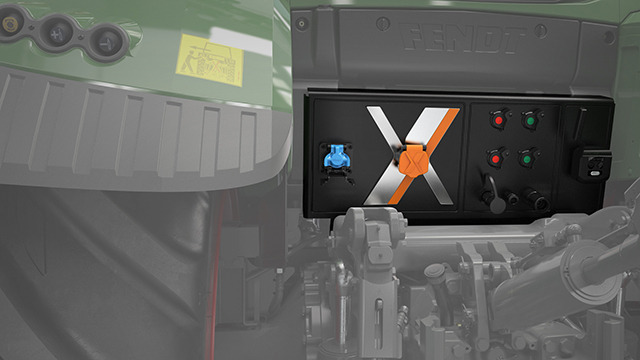 With the X Concept, tractor and implement are transformed into an extremely high-performance unit, one that opens up a new dimension of ultra-efficient complete solutions for agricultural work processes. The tractor and implement communicate via the proven and standardized ISOBUS. Electrical power of up to 130 kW is transmitted to the implements in the form of a 700 V DC supply via the ‚POWERBUS‘. By the same token, the POWERBUS provides power to internal tractor consumers such as the electrical fan drive or the coolant pumps. The X Concept, based on the 700 Vario series, is powered by an AGCO Power 4-cylinder diesel engine rated for 147 kW / 200 hp and has an integrated high-performance alternator with unique performance capabilities. 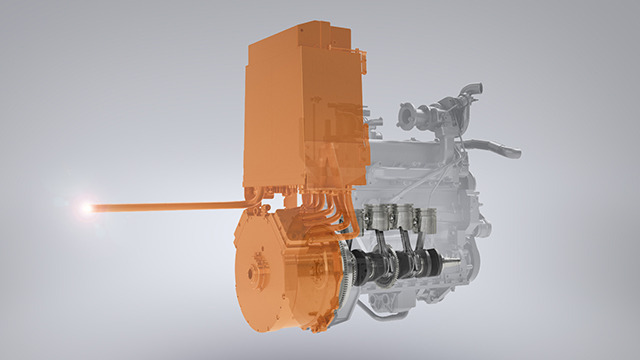 This particularly compact and powerful diesel engine leaves plenty of room to place the components required for electrical technology, e.g. the alternator, the power electronics, the wiring and the specialist heat exchanger. The alternator is positioned between engine and transmission. With the high-voltage interfaces at the back and front of the tractor, a robust 130 kW can be developed, providing plenty of drive for electrically powered implements. Due to the POWERBUS architecture, it is possible using just one very compact power socket to supply power to any desired number of drives. To guarantee the highest standards of safety, the insulation and status of all lines and systems are monitored continuously. In the event of any malfunction, the system is capable of shutting down the power supply almost instantaneously.